The Bosworth Company knows the potential danger that comes along with a seemingly simple plumbing issue. The best way to avoid an inconvenient interruption is to be proactive! HAVE A PLUMBING ISSUE? THE BOSWORTH COMPANY IS WORTH THE CALL! For the professionals at Bosworth, no job is too big or too small. 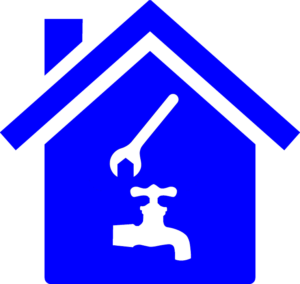 From slab leaks to leaky faucets, our local plumbers fix all kinds of plumbing issues! That small leak or faucet replacement might be a job you would consider tackling yourself, but you can rest assured knowing that Bosworth is worth the call! Save yourself the time, cost, and numerous trips to the big box supply store. Call Bosworth Plumbing in Kerrville, TX to diagnose your problem and trust our experienced plumbing technicians to not only fix your problem, but to give you reliable information and professional service. WHEN YOU’VE GOT A PLUMBING PROBLEM, THE BOSWORTH COMPANY IS WORTH THE CALL! There’s no job too big or too small for the experts at The Bosworth Company. We’ve got you covered, from broken garbage disposals to leaky faucets. You may be tempted to fix a small leak yourself, but why take a chance when you have the Bosworth guarantee? Give Bosworth Plumbing in Kerrville, TX a call for an accurate diagnosis and quick fix for all your residential plumbing problems. It’s easy to forget the importance of your hot water heater – that is, until it stops working. The Bosworth Company will remove and replace your broken hot water heater and not only recommend the ideal water heating system for your household, we can even save you up to 50% in heating costs with a Nortiz tankless water heater! We all know that plumbing problems always seem to pop up during the worst times. In addition to our extensive experience serving the Permian Basin for the last 65 years, we are available 24 hours a day, 7 days a week. If you’ve got a pipe clog or broken water heater, give us a call and we’ll be on our way to help in no time. Our number one goal is to decrease the potential for damage and inconvenience for our customers. That’s why Bosworth is proud to offer Optimum Service Plans; comprehensive preventative maintenance plans for the Spring and Fall seasons. Our trained techs will ensure your plumbing systems continue to operate in tip-top shape, eliminating the potential for sewer buildup and other common threats – before they do damage. Our team will treat a leaky faucet with the same care and professionalism as they would in rehabilitating a collapsed main sewer line. Rest assured that when The Bosworth Company is on the scene, you’re sure to be left with a reliable, lasting solution for whatever plumbing fix you may need. OR CALL US AT (830) 257-1770 We’re worth the call. Always.